Christian life is a journey and along the way there are milestones that show where we are in our pilgrimage with Christ. Some of these are times of joy, others are of sorrow and others are the times in between such as when we are sick. Some events are big and momentous like a baptism, a wedding or a funeral. For general information for all these life events visit the Church of England website. If you are looking at this page because you have recently become engaged – congratulations! 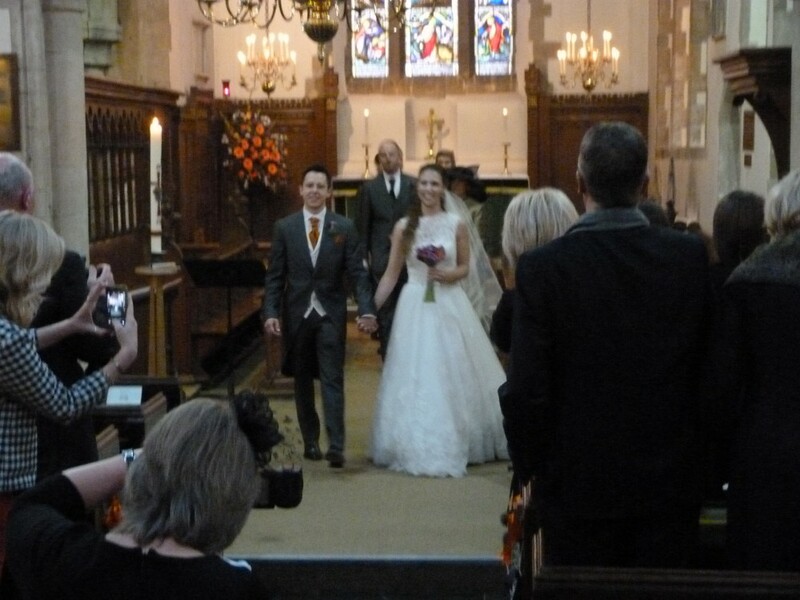 We are delighted that wish to consider our beautiful church for your wedding ceremony. For more information about weddings at St Mary's please see the linked page about Weddings. We welcome baptism enquiries from families resident within our parish, or from those who live beyond our parish boundary but who are regular worshippers at St. Mary’s. For more information about the baptism journey at St Mary's please see the linked page about Baptism. Everyone who lives in the Parish of Chiddingfold is entitled to have their funeral or memorial service in the Parish Church. We also conduct services at Guildford Crematorium Chapel if that is preferred. We know that a funeral can be painful and difficult. We are here to comfort and support you as much as we can, and to help you plan the funeral in a way that is most meaningful to you, helps you to say goodbye, and honours the life of the person who has died. It is important that the clergy are involved right at the beginning when choosing the date with the undertaker and the family to make sure everyone is available - contact the Rector as soon as possible. For more information about planning a funeral please see the linked page about Funerals. We are more than happy to prepare and conduct a bespoke service for a life event such as a silver wedding, blessing of rings, or maybe a thanksgiving service to mark the anniversary of a death. If you move into a new home you might like to consider having a member of the clergy team visit you for a short service of blessing. As with all major events in life there are costs involved in baptism, weddings and funerals - please click here for the list of fees. Whatever the life event it can be stressful or unsettling. Our pastoral team are always available to lend a listening ear. If you would like to meet up with a member of the pastoral care team please contact the Rector.